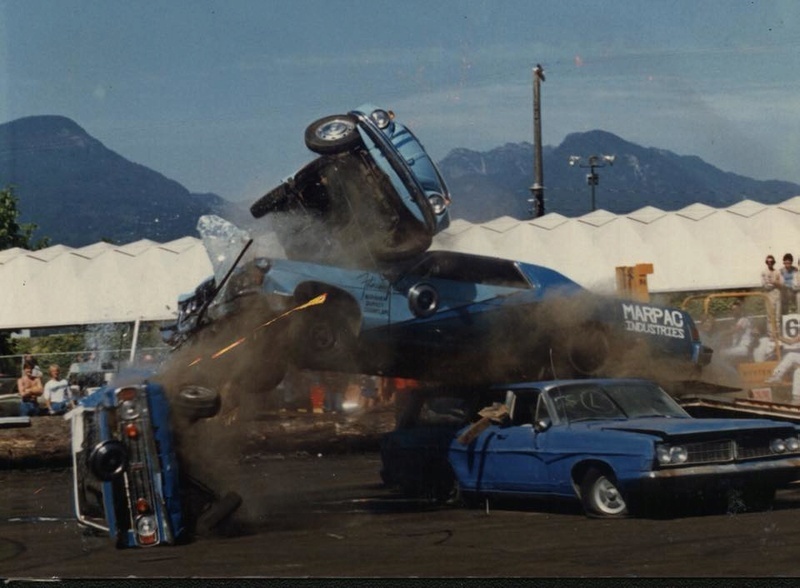 Poor Cortina, This was taken at Vancouver's PNE Demolition Derby in 1985. Spectacular, poor beetle tho. Love the flying hubcap. Definitely my favourite thing to see at the PNE when I was a kid. Yes those were fun days, I attended a few of those events. 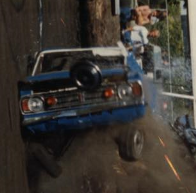 Do you notice the Cortina's excess positive Camber? I bet the strut towers must have been well rusted to allow that to happen.